God of War. This game is absolutely amazing! Engaging story, breathtaking visuals, epic music, satisfying gameplay and colorful characters sum up this masterpiece. Deserving of the GOTY title. Bravo Santa Monica Studio! Managed to defeat all Valkyries. Compared to the last Valkyrie queen, all the other Valkyries are just cakewalk. The battle was so intense, my arms are still shaking! Considering I have a lot of trouble beatint the first 4 Valkyries, the Queen must be super hard for me. May mga "feels" sa story lalo na dun sa bonus episode. The Awesome Adventures of Captain Spirit for PS4. Another touching story from the makers of Life is Strange. Actually prequel ito ng Life is Strange 2. Free ba yan sa PS4 kahit hindi naka-PS+? Got 100% trophies (no platinum). I have been playing this game since August 2, 2018. On player database, it states "172 days of playtime". At least 3 matches a day. Here's a sample video of my gameplay. 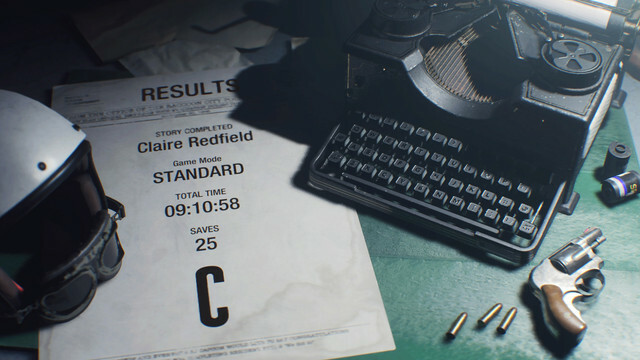 Done with Claire's story. First playthrough. Meron pa palang secret ending ito. 133 hours bago ko na-plat. Parang ito yun first Visual Novel game na na-plat ko. Parang choose your own adventure /TellTale game na pwede mag-lead to 5 different endings depending on the choices that you make. Kingdom Hearts 1.5 Final Mix for PS4. 3 things that really stood out playing this game. 1. The terrible camera. You will fight the camera almost all the time. Platforming is such a hassle because of it. 2. The Gummi Ship sections. So boring. I was actually able to finish the game using the base ship that I started with. Building a ship is quite complicated and slows the game's pace to a crawl. 3. Level design is atrocious. Almost all the world's are like miniature mazes. It's so easy to get lost. Add that to the sucky camera and you'll have a headache figuring out where to go and what to do next. The game just didn't age well. During my last few hours, I just couldn't wait to finish the game. Nostalgia helped me through it. I did finish this way back 2003 when it first came out. Agree, medyo nakakaligaw yung mga levels lalo dun sa world ni Pooh. At nahilo rin ako sa camera dati. On topic, kakatapos ko lang ng Assassin's Creed Unity. Medyo tragic ending. May kasamang Dead King DLC kaya lalaruin ko pa.
^^ Ang pinaka-mahirap dun sa KH 1.5 ay yun gummi missions. Pinaka-challenging ay yun duel with Sephy. The game still plays brilliantly. Resident Evil 2: Leon A Scenario. Now working on Claire B, then will go for Claire A --> Leon B. Then the ghost survivors.